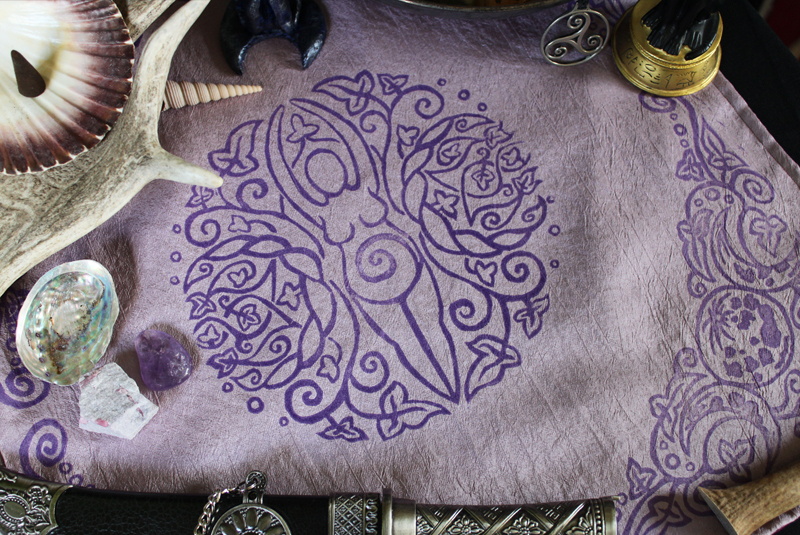 This hand printed Spiral Goddess Altar Cloth and other altar cloths are available at my Etsy Store. 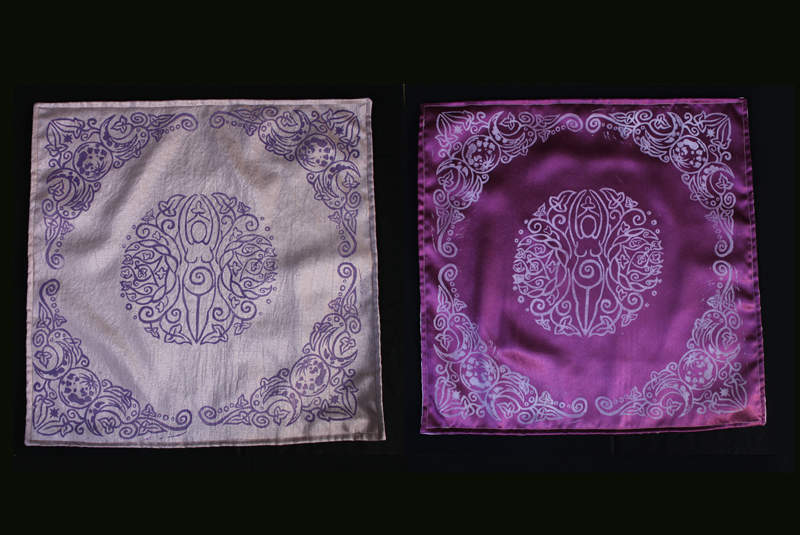 I hand printed these altar cloths with a hand carved circular Spiral Goddess stamp and a Triple Moon corner piece stamp on my etching press. 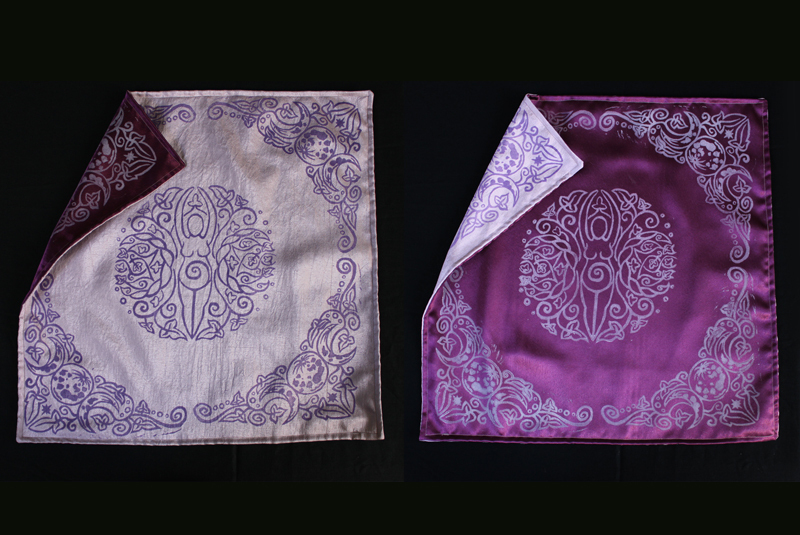 The altar cloth is double sided: shiny purple coloured cloth with white print and pale silvery purple coloured cloth with dark purple print. This way you get two altar cloths in one. 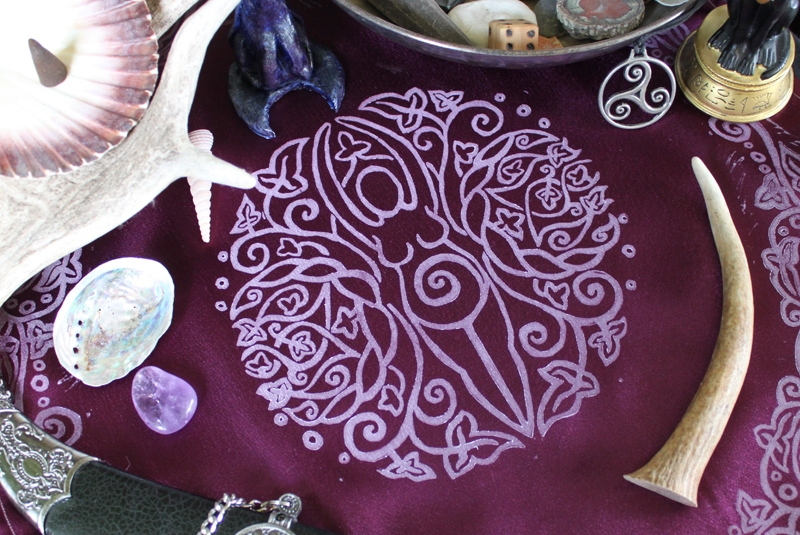 This altar cloth features the Spiral Goddess and Triple Moon and ivy motifs. The original Mother Goddesses are a symbol of the Divine Feminine and have strong connections to creation, rebirth and eternity. The Mother Goddess is a very ancient goddess: statues of her have been found that have been identified as to originate from before 20,000 BC. The spiral is often combined with the Mother Goddess in Neopagan religions to create a Spiral Goddess. The Spiral itself stands for eternity and the journey in life and spirituality. It is also very important in the theories of Divine Geometry and therefore beauty and perfection in creation. 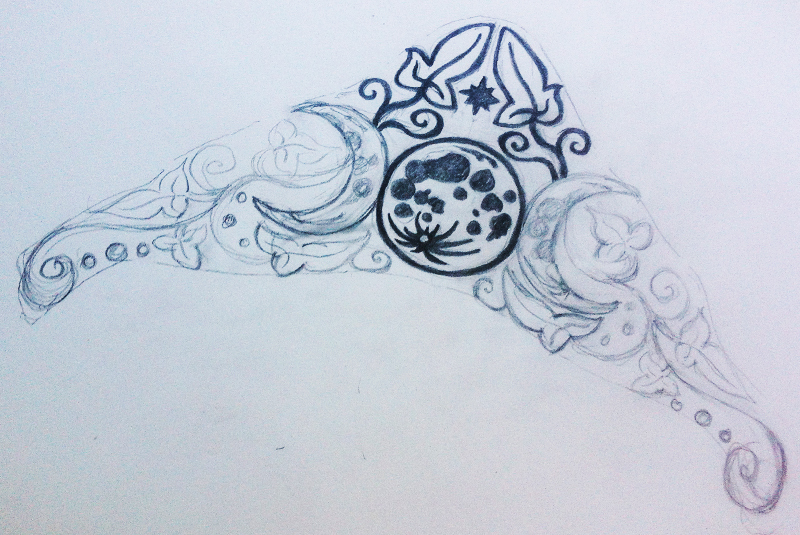 Ivy, like the spiral, is a symbol of eternity which stems from its evergreen colour and strength. 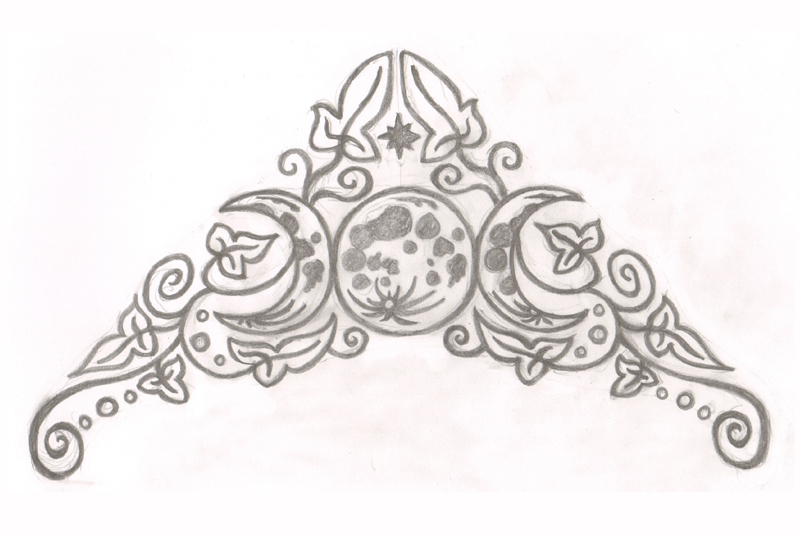 The corner pieces show the Triple Moon: The Waxing, Full and Waning Moon. These three moon cycles together are also associated with the three life stages of womanhood: Maiden, Mother and Crone.